Maintain a healthy balance among the four wheels of a car or any other four-wheeler vehicle is very important. This balance ensures safety and security to the users or riders of the vehicles. Whether you drive your car or ride some hired cars, you need to make sure that your car is perfectly balanced, in terms of wheel balancing. 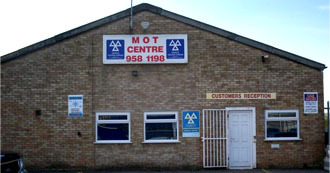 Wheel Alignment Reading has been a popular name in Berkshire that delivers reliable services to all wheel-related issues. Wheel Alignment Reading is primarily a wheel shop that deals with top-quality wheels. The company has been working since last 20 years, and that has brought us some remarkable achievements. As far as quality and performance are concerned, the path of Wheel Alignment Reading is virtually unrivalled. We have been remarkably success in all our services. We promise top quality services to all our customers without making a distinction among them on any bases. At our company, you can feel at home as far as getting the best deals in wheels and related services is concerned. We always deliver the best to all our customers, and our expert technicians help in this with their expertise. We would like to take the opportunity to accept that most of our technicians are extremely valuable to us. Their contribution has brought us some great moments. It is important to mention that our teams are divided on the basis of their expertise. We do not someone with a task in which he is not well experienced. It hampers the work and our relationship with the customers. Wheel Alignment Reading offers a wide variety of technical services that are in great demand these days. Among the top services and facilities available with us include Wheel Alignment, Cheap Tyre Shop Reading, Premium Tyre Reading, Tyre Shop Sale, and Exhaust Replacement and Repairs. This is not all. We also offer some more services that include Car Tracking Reading and Online Tyre Shop Reading. Both of them are specifically designed to serve the customers who seldom find enough time to visit our workstation with their car. However, we believe that 4×4 Laser Wheel Alignment Reading is probably the most popular among all our services. Selling wheels and tyres is our primary points of business, but we cannot deny additional responsibilities that automatically come with that service. We offer free tyre reading service to every buyer of a new car or a new tyre or wheel. Our workstation is well equipped with modern machines and devices that are extremely efficient for maintaining the highest standard of our services. However, we are overwhelmed by the coordination between man and machine that serves all challenges with an ease. Due to the fact that the tasks of wheel alignment and tyre reading are entirely technical, so they are seldom done without machines. We always encourage our customers to visit us for these related services. However, we also offer onsite services where we visit the customer’s place to serve them. This service can be hired with additional charges. The customers looking for this service need to register a call. With us. In case of offsite service, we encourage our customers to get an appointment to avoid wastage of time and energy.